Although there are multiple definitions for demand management in hotels, it should be viewed as a holistic merger of the disciplines of revenue management, distribution, sales and marketing, and finance, adopting an integrated approach to organizational structure, standards, and processes. Due to the lead-time involved to effectively implement a more hollistic management culture, my belief is that hotel organizations should ignore the hype surrounding the potential of “big data” and focus now on developing integrated strategy and decision-making through intelligent and achievable “small data” tactics. The challenge the industry faces is the historical structures influencing the current management of demand. Hotels maintain outdated approaches to segmentation, where traditional market structures dominate strategy and forecast environments, without sufficient (if any) cross-reference to the channel of demand. Revenue management systems continue to espouse competent total revenue generation via price and stay pattern optimization, but they do so without any direct consideration of cost of distribution and direct and third-party marketing investments. Significantly, the historical dominance of brick-and-mortar agencies provided stable and regimented B2B demand for hotels, replaced in recent years by a resurgent OTA market, which has encouraged a new, highly unstable transient segment of B2C consumers, with changing priorities and approaches to travel consumption. 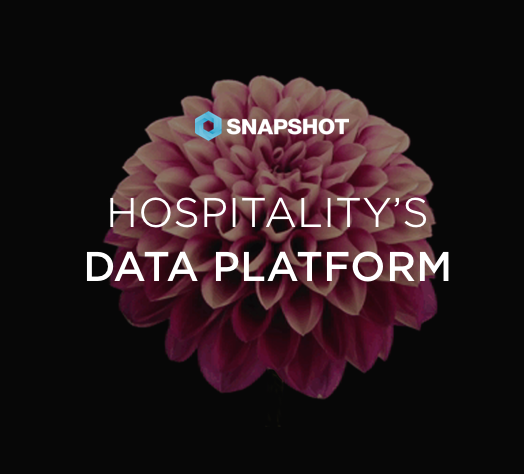 Read our guide to Hotel Data and Analytics. 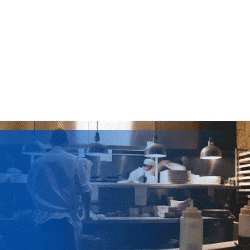 Despite industry-wide agreement that cost of distribution is one the largest threats to future profit generation, hotel organizations are slow to adopt channel segmentation and cost optimization within their forecasting environments. The reason for this is clearly attributed to historic approaches to budget, strategy, and forecast management, compounded by challenges in the collection, storage, extraction and analysis of relevant data within hotels’ operational databases. The long-term aim should be to merge key elements of revenue management, distribution, sales & marketing, and finance, and implement a cultural, technological and structural approach known as demand management. The result will lead to a significant harmonization of key responsibilities, integrated planning and execution of demand management activities, satisfied “on-target” customers, and a focus on profit optimization. In the short term, there are many small data solutions available to incubate the above opportunities. By small data, I mean the effective management and analysis of existing indicators of demand in a structured and progressional approach. Demand Segmentation: Countering the analytical limitations of individual “silos” of market and channel segment data, hotels should adapt their segmentation strategy (and forward planning) and set up unique demand segments, which merge specific market and channel segments into relevant buckets of demand. Net Contribution Forecasting Environment: The next step for hotels is to adapt their forecasting environment to proactively calculate and include the historic total cost of distribution, and forecast future assumptions per demand segment, enabling net contribution visualization. User and Third-Party Data Tracking: Whilst booking pace and pick-up trend analysis is commonplace, there are many additional user-generated and third-party analytics available to hotels that not collectively tracked within the forecast environment for progressional trends and analysis during the active forecast/booking window. Profit What-if Scenarios: By adopting the above sequence of recommendations, a hotel now has the potential within its revised forecasting environment to commence the testing of “what-if scenarios” based on alternate combinations of demand mix, volumes, positioning and pricing, to determine the optimal strategy to maximize net contribution and profit generation. If I can be critical of the outlined future path to more hollistic hotel management, it is that whilst there are already significant advancements in the automation and integration of demand channels and strategy, the reality is that the collection, storage, extraction, and analysis of even “small data” remain a great challenge to implement. The cultural shift towards integrated planning, decision making and progressional management of demand requires significant commitment of any hotel organization to achieve, along with the collective support of the numerous operational and intelligence technology vendors. 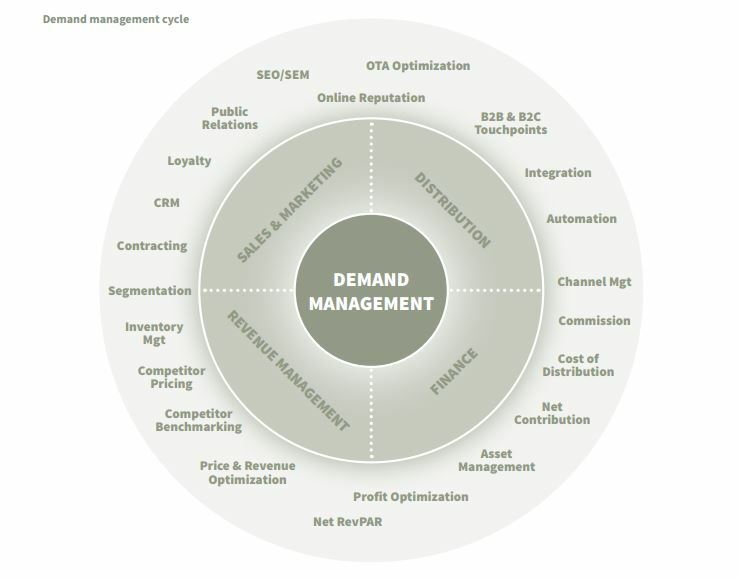 What I do expect, however, is that in the coming years we will start to see the evolution of the first wave of “Demand Managers,” educated and supported to achieve the obvious requirements for maximum profit optimization– Demand Management is on the rise! This article was orginally featured in the HOTEL Yearbook 2014.